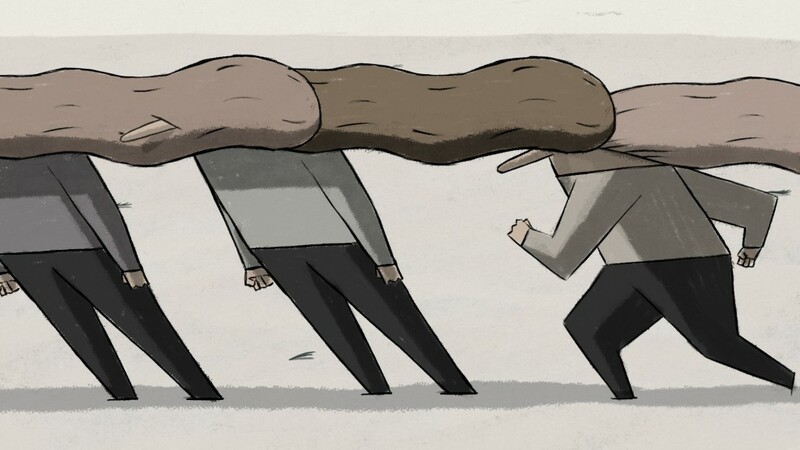 Wind is an animated short about the daily life of people living in a windy area who seem helplessly exposed to the weather. However, the inhabitants have learned to deal with their difficult living conditions. The wind creates a natural system for living. Robert Löbel (DE), born 1984. In 2005, he began a graphic design studies at the Baltic Sea of Germany in Wismar. After 2 years he changed to study illustration in Hamburg and finished it in the end of 2012. Wind is his graduation film at the University for Applied Sciences – HAW Hamburg. He lives and works in Berlin.